The award-winning Global eWorkbooks contain a wide range of interactive activities which allow students to practise language from the Global coursebooks. All aspects of language learning are covered - grammar, vocabulary, pronunciation and skills work. Each unit also comes with an original video and a 'Listen on the Move’ audio component. I am the author the Interactive Practice material at Elementary and Intermediate level. This material is also available as a print workbook. The eWorkbooks were the winner of English-Speaking Union President's Award 2010, 'recognising and encouraging the widespread use of technology to enhance English teaching worldwide'. 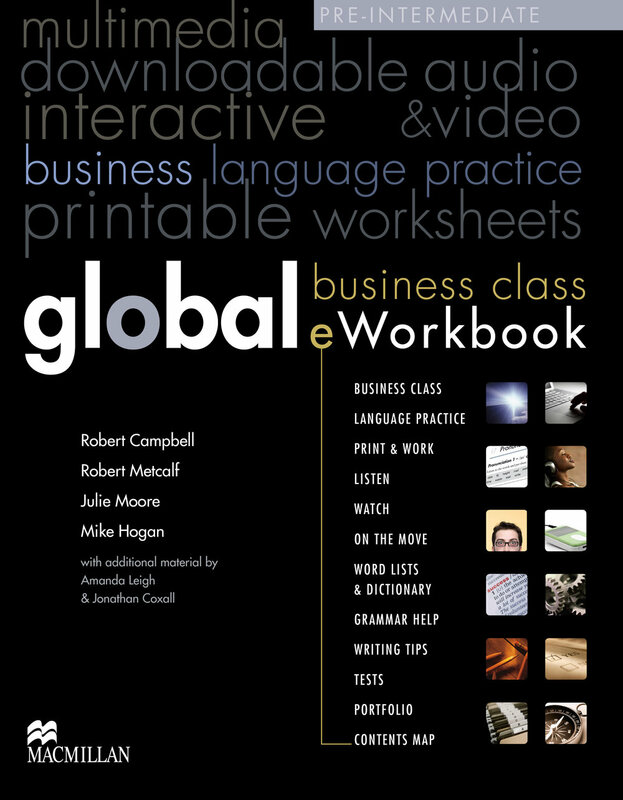 The Global Business Class eWorkbooks take the existing eWorkbooks and add content relevant to the global business professional. 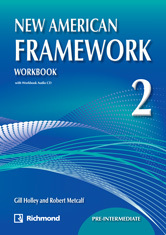 New Framework (Richmond Publishing) is a six-level general English course developed in line with the objectives of the Common European Framework. It highlights oral communication, personalisation and debate through dynamic and authentic topics. A wide range of extra materials includes an interactive Virtual Learning Environment (VLE), allowing teachers to assign tasks and monitor students’ progress, while students are encouraged to learn independently through blogs, videos and games. 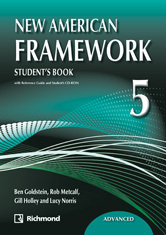 I am co-author of the Advanced Student's Book and the Workbooks for levels 1, 2 and 4. New American Framework is the American English edition of the course, reworked to suit the specific needs of the Latin American market. English Unlimited (Cambridge ) is six-level general English course by that teaches learners the language they will need outside the classroom. Its innovative approach, centred on purposeful, real-life objectives, prepares learners to use English independently for global communication. I am co-author of the Upper Intermediate Self-study Pack. Grammar Practice for Pre-intermediate Students (Third Edition) is a fully revised and updated edition of the popular language practise book by Pearson. With a focus on context and communication, this edition helps learners make the leap from practice to production more easily.